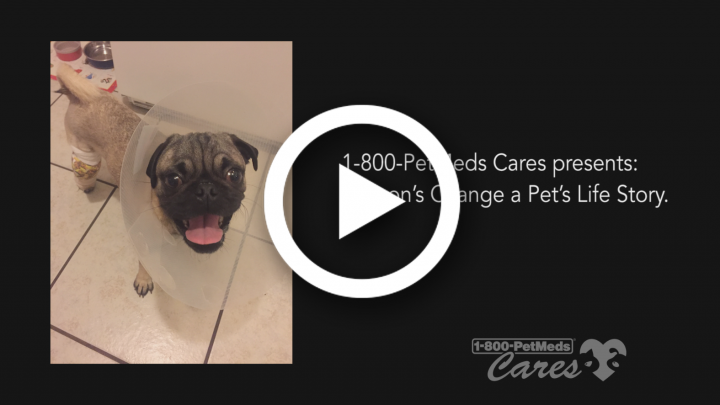 Benson was the winner of the 2017 1-800-PetMeds Cares Change a Pet’s Life Contest. To learn more about the contest, please visit the contest page here. Change a Pet’s Life Day occurs annually on January 24th. In participation of the day, 1-800-PetMeds hosts an annual contest through 1-800-PetMeds Cares in which three pets in need receive grants to help with the costs of their medical treatments. This year’s 1st place winner was Simpson, a pug with Pug Rescue Austin. Smart idea: flashlight in the dog leash. Ideal. What’l you think of next?